While this weapon system is still currently “under the radar” (no pun intended…) of the Western media, one can rest assured that once it starts flight tests in earnest, it will be paraded as Exhibit A in the propaganda indictment of “Russian aggression.” Therefore it might be worthwhile to pre-empt the usual media barrage by placing a spotlight on what promises to be a revolutionary weapon system capable of changing the global balance of power. The Sarmat missile is classified as a so-called “heavy” ICBM. In accordance with START treaties, that designation is applied to weapons with intercontinental range and launch weight in excess of 100 metric tons. 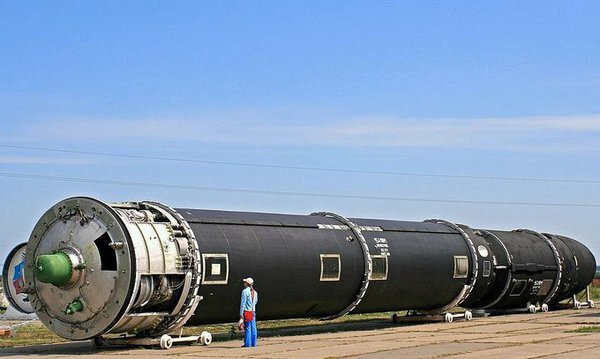 It is not the first such weapon to earn this designation–the earlier R-36-series Voyevoda ICBM, dubbed by NATO as the SS-18 Satan (! ), also belonged to that category and likewise was the target of a focused propaganda campaign–why else would it be assigned a code name like that? USSR was not the only country to deploy such weapons. US strategic forces used Titan ICBMs for several decades. The controversy associated with heavy ICBMs naturally begs the question: why bother with such weapons? What missions are they intended to accomplish? In the Russian case, at any rate, heavy ICBMs play a specific role. They are the spear-tip of strategic nuclear deterrence. Their ability to destroy heavily defended or protected targets, including by anti-ballistic missile systems, guarantees the rest of the deterrent force remains viable. 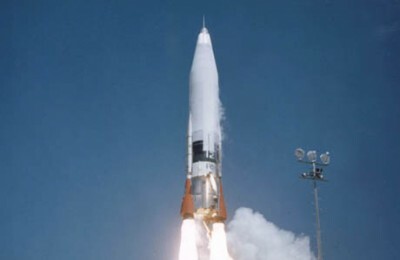 Although the R-36 spent most of its service life under the ABM Treaty regime, one has to keep in mind that it was designed with the assumption the US would have widely deployed ABM systems, and moreover Soviet heavy ICBMs were part of the reason the US realized, in the early 1970s, that the Soviet missile capabilities were sufficient to render any US defensive system irrelevant. A single R-36 represented, after all, a 10-warhead rapid-fire volley that no ABM system at the time could hope to counter. It’s the realization that ABM systems would be costly, destabilizing, and, in the end, useless, that gave us the doctrine of “mutually assured destruction” in its mature form. Since the US missile defense technologies have evolved over the last several decades, the Sarmat will likewise represent a major advancement over the Voyevoda. Instead of simply presenting the ABM system with a rapid succession of targets with the goal of saturating the defenses, the Sarmat is more subtle. Its approach to the task of invalidating opposing missile defenses consists of a combination of factors. They include the ability employ multiple trajectories, not only the standard route over the North Pole, to the North American continent, thanks to the missile’s powerful engines and ample fuel load which account for the bulk of the missile’s estimated 170 tons. It can also employ suborbital trajectories which greatly reduce flight, and therefore also reaction, time. Its 10-ton payload will include hypersonic aerodynamic vehicles which are considerably harder to intercept, in addition to standard warheads and, naturally, decoys. Last but not least, in order to ensure its survivability, its launch preparation time will be only 1 minute, greatly reducing the likelihood of it being caught on the ground by an enemy first strike. The Sarmat is a high-priority weapons system whose timetable has not suffered significant delays. Its initial testing is scheduled to begin later in 2016, with service entry scheduled by not later than the end of 2018, and with all the R-36M missiles still in service being replaced by 2020. The initial “free world” reaction will likely be the usual barrage of propaganda which inevitably follows every Russian international initiative, though, as in the 1970s, it will be followed by a more constructive Western response that will help restore a sense of global security and stability.